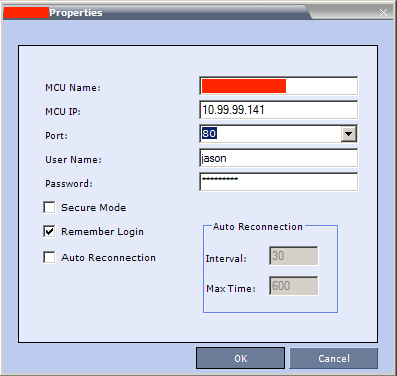 In order to enable LDAP authentication utilising Microsoft Active Directory on your Polycom RMX you will first require an Active Directory security group. 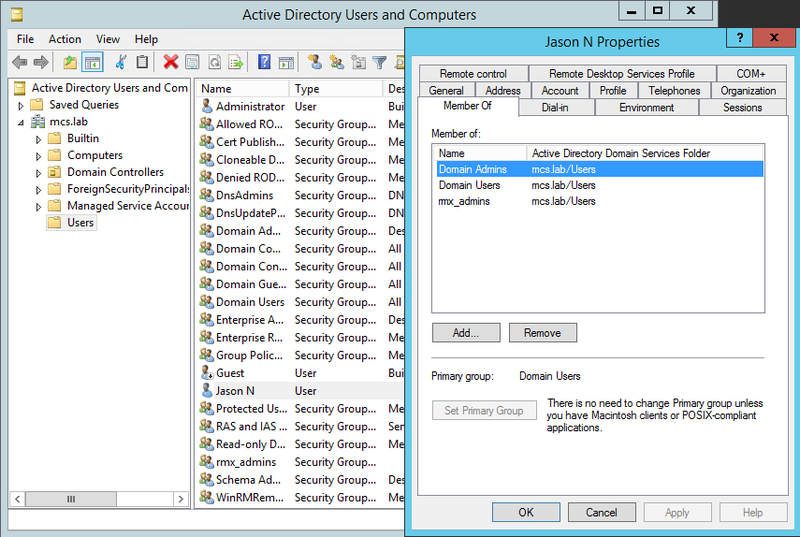 The below image shows an Active Directory user who is a member of a security group rmx_admins. 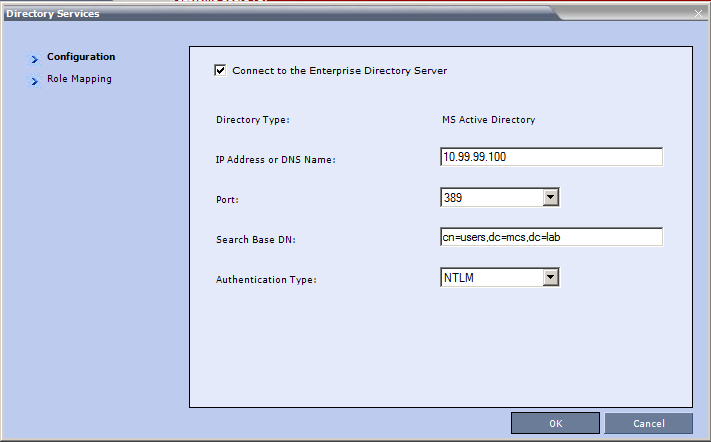 On the RMX navigate to Setup > Directory Services. Click on Role Mapping from the left navigation. 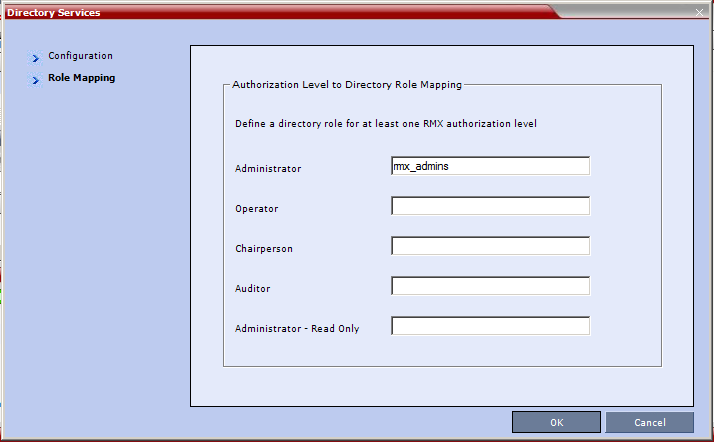 On this page enter the name of the groups you would like to map to the corresponding RMX roles. Note, this is not the DN. From now on when logging in you can authenticate with your Active Directory username and password. Note, you do not need to use DOMAIN\ or @domain when logging in.